If you follow us on social media, you've already seen the progress made on our shop M2 build. We recently and temporarily swapped out the BBS wheels for a set of 18" x 9.5" APEX SM-10 wheels. The BBS are back now, along with a whole round of cosmetic and functional upgrades both inside and out. We'd like to take a moment to showcase the build in its current state, as well as highlight some of the upgrades that many other M2 owners have expressed interest in. With each shop car we acquire, we like to build it out in a fashion which suits our taste, but also can serve as a "demo" of sorts for customers who are unsure of what they want for their own cars. We did this with our shop E46 M3, F80 M3, X5M, and now with our M2. That said, let's start with the obvious: the wheels. 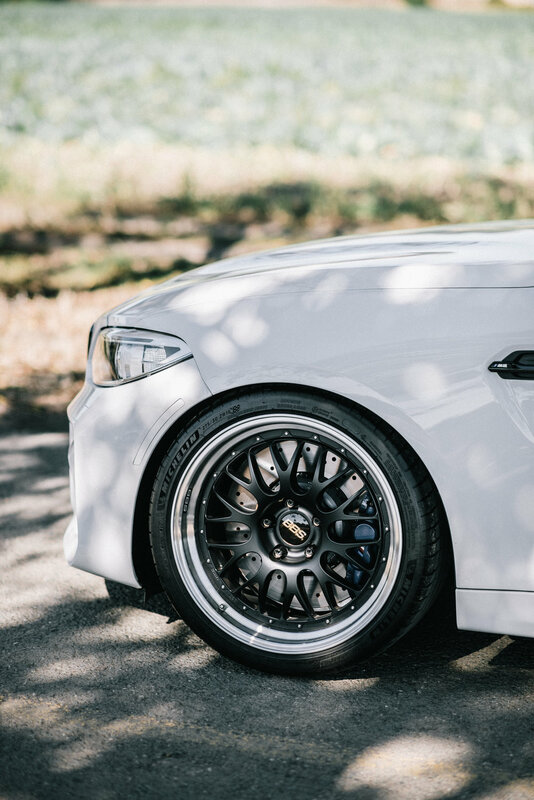 Wheels can make or break any build, so it's important to not only calculate the specifications that will fit your car perfectly, but also to choose a set that will serve as a complement. The last thing you want is a well sorted build that has a break in the flow as soon as you reach the shoes. 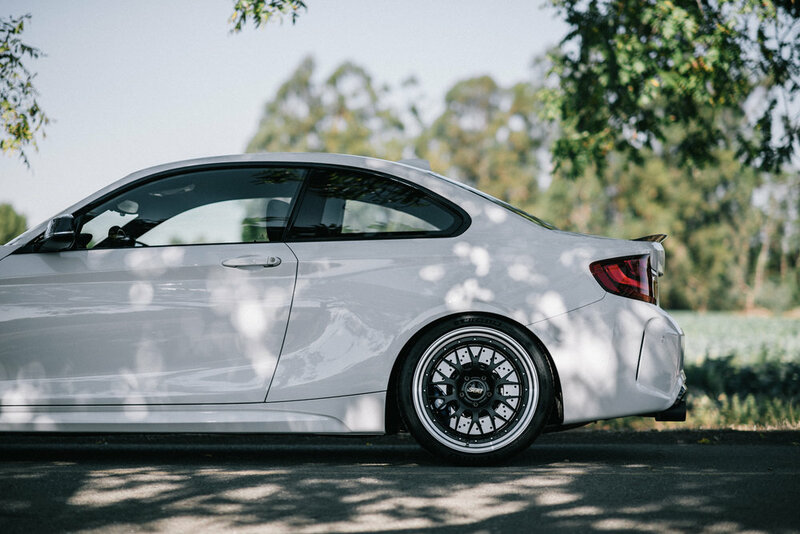 Our M2 is outfitted with a square set of BBS 19" x 9.5" RT88s, which are finished in a satin black face with polished lips and gold centers. We've also installed an APEX M14 stud kit and the Project Kics lug kit from Mackin Industries (R40 Iconix). The wheels are wrapped with 275/30 Michelin Pilot Sport 4S. Next are the smaller exterior cosmetic upgrades. Acexxon rear reflector honeycomb kit, front gloss black kidney grills, black M2 trunk emblem, gloss black side grills, M Performance carbon fiber mirror caps, M Performance carbon fiber trunk spoiler, and M Performance carbon fiber rear diffuser. No big wings or flashy mods here - we like to keep things simple and street friendly. On the performance side of things, the car also has an upgraded Dinan exhaust for a more pleasant tone. The stance provided by the Ohlins Road & Track suspension and Ground Control camber plate combo is low but not irrational for street driving. 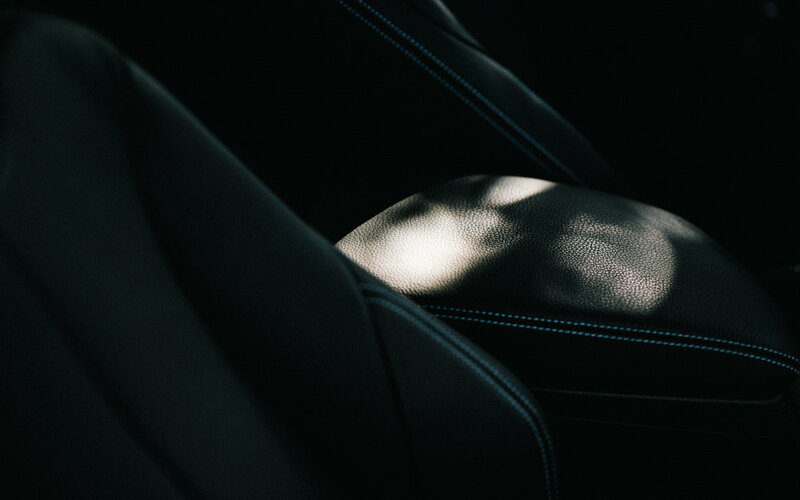 Inside the cabin is a simple array of dry carbon accents that mesh well with the electric blue stitching that the car comes with from the factory. To pilot the M2 you get to hold on to an M Performance steering wheel with the corresponding dry carbon centerpiece. To your right on the center console is a trio of M Performance dry carbon console accents. We also swapped out the labeled sun visors for the sleeker, unmarked OEM Euro sun visors. 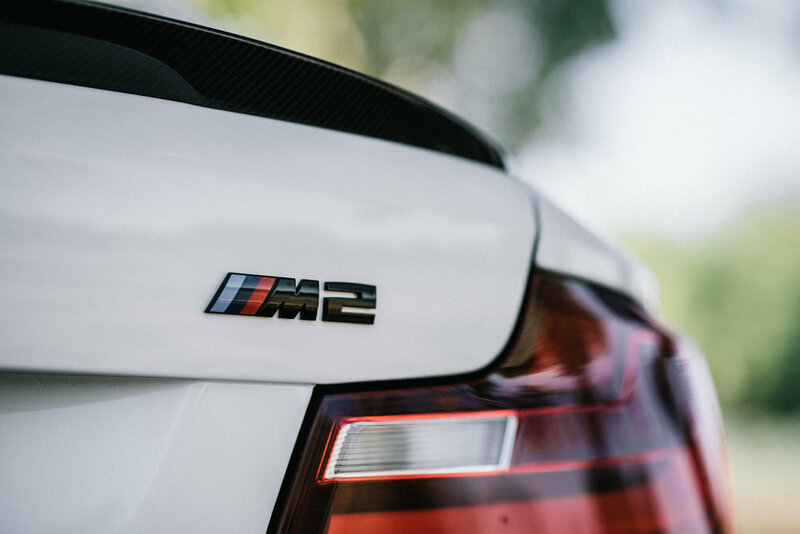 As a package, the M2 is major fun for the money. Give it a boost with any of these upgrades, from wheels and suspension to Dinan tuning to simple interior pieces, and you're guaranteed to have a car that you won't be able to leave in the garage. If you have questions regarding any of the parts on our car, we're here to help. We can source any of the above plus more, simply shoot us an email or give us a call.